This tour brings you around the whole New York in just one day. The Coney Island beach has a super nice ciew and Lulu is a very nice and great tour guid. 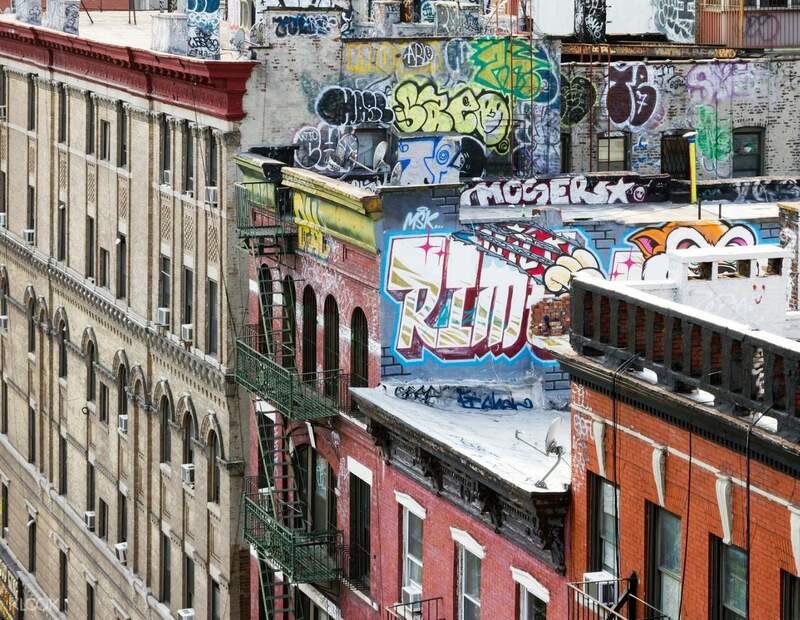 New York City has got to be the most culturally diverse cities in the world with a large population of African-Americans, Jews, Chinese, Irish, Koreans, Spanish and many other nationalities from other origins. This cultural influence dating back to hundreds of years when foreigners started immigrating to America has made New York the melting pot of the world. 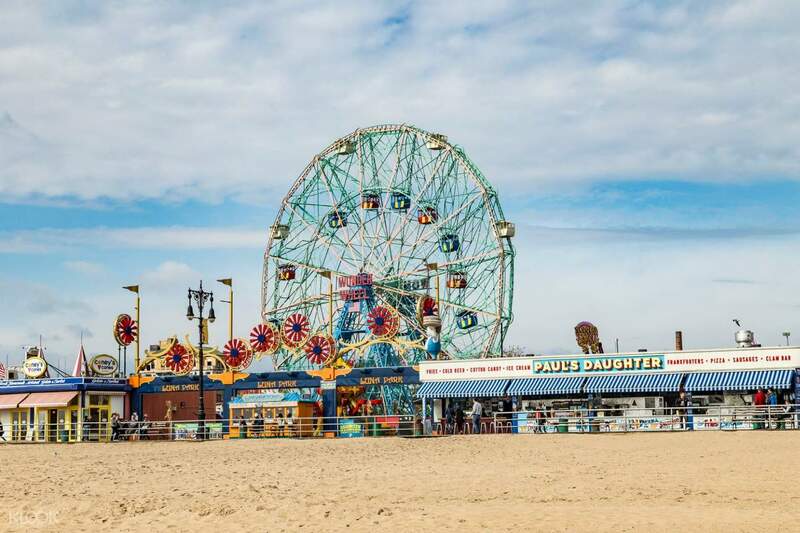 On this tour, you'll go to see the real heart of NYC by visiting the outer boroughs—the Bronx, Brooklyn, Harlem and Queens as well as Coney Island. The tour starts with a quick ride through Harlem in uptown Manhattan where you'll see important historic sites such as the Apollo Theater and Hotel Theresa. 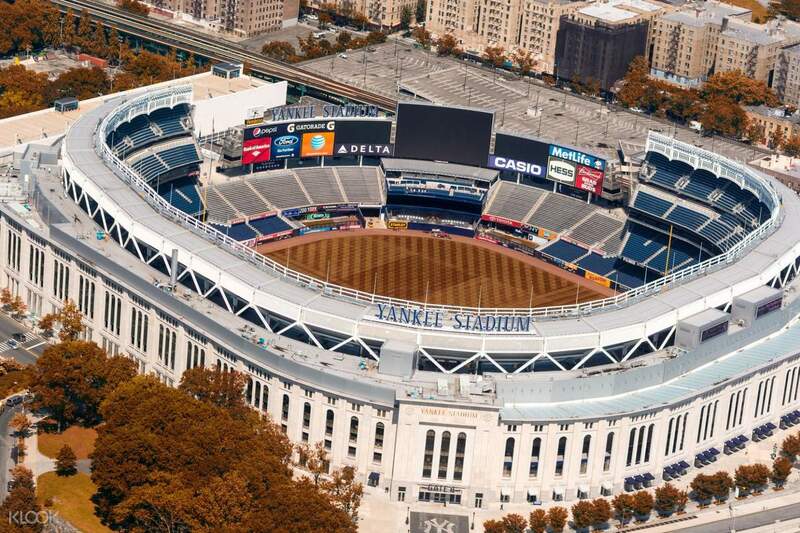 You'll drive to the Bronx and see the home of the NY Yankees, learn about the history of hip-hop, and see colorful street art and graffiti. After that, it's off to Queens and the affluent neighborhood of Malba with its beautiful houses before heading to Flushing Meadows Park, home of the U.S. Open, New York Mets, and the Unisphere. The tour will then move to Brooklyn where you'll stop by Williamsburg and Crown Height, one of the largest Hasidic communities outside of Israel. And lastly, you'll visit and explore a bit of Coney Island, a well-known destination for New Yorkers seeking fun and relaxation. End your tour by passing by the Brooklyn Bridge, where you'll guide will provide you some information about the landmark's importance in history. You may choose to get dropped off here or proceed to the drop off point and end your NYC borough tour. It was a good trip. Our tour guide Lulu was very nice. Although you would remain in the coach most of the time because you are going to so many different places in just one day, it was a quick and easy way to get a glimpse of the out skirt of New York. It was a good trip. Our tour guide Lulu was very nice. Although you would remain in the coach most of the time because you are going to so many different places in just one day, it was a quick and easy way to get a glimpse of the out skirt of New York. Comfortable way to explore Brooklyn, queen and bronx, quite a lot to see, and understand more about the culture, the guide is nice too. Almost everyone visited the century old hot dog shop in Connie island, food is not that good. We left on Brooklyn bridge. Comfortable way to explore Brooklyn, queen and bronx, quite a lot to see, and understand more about the culture, the guide is nice too. Almost everyone visited the century old hot dog shop in Connie island, food is not that good. We left on Brooklyn bridge. Very nice tour of the boroughs with plenty of historical anecdotes. Good to get this if you're staying in NYC for just a few days. Very nice tour of the boroughs with plenty of historical anecdotes. Good to get this if you're staying in NYC for just a few days. This Buroughs tour wasn’t advertised as a bilingual tour and while English speakers were a minority and the guide, Lulu, could speak Spanish, there were far more detailed commentary explanations in Spanish than English. Much of the commentary was about how expensive the homes were and the price of real estate rather than how it came to be and the history surrounding the area. The tour took us to many areas however seeing more than street art in the Bronx would have been more interesting. Coney Island to Manhattan there was no commentary as the tour had apparently ended. Sharing points of interest and general history along the way would have made the last 20 mins on the bus less boring. Air con on the bus didn’t work till leaving Coney Island so from Yankee stadium to Coney Island we couldn’t see out the window. It’s a bus tour, folks!!!!.. We missed the Bronx, Queens and Williamsburg. There also was no stop in Williamsburg. The best part of the trip was Harlem and getting out there. That section was informative and interesting. Our driver Pedro did a great job negotiating through narrow streets, just a shame about the air con. Also, Amigo Tours were not prepared for wet weather need umbrellas on board and a wet weather plan as wandering around the streets in the rain with no wet weather gear wasn’t fun. This Buroughs tour wasn’t advertised as a bilingual tour and while English speakers were a minority and the guide, Lulu, could speak Spanish, there were far more detailed commentary explanations in Spanish than English. Much of the commentary was about how expensive the homes were and the price of real estate rather than how it came to be and the history surrounding the area. The tour took us to many areas however seeing more than street art in the Bronx would have been more interesting. Coney Island to Manhattan there was no commentary as the tour had apparently ended. Sharing points of interest and general history along the way would have made the last 20 mins on the bus less boring. Air con on the bus didn’t work till leaving Coney Island so from Yankee stadium to Coney Island we couldn’t see out the window. It’s a bus tour, folks!!!!.. We missed the Bronx, Queens and Williamsburg. 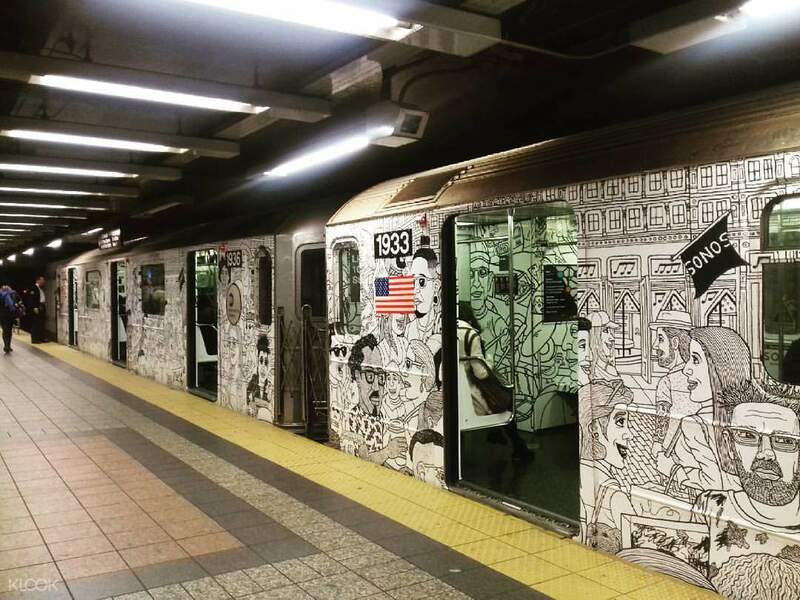 There also was no stop in Williamsburg. The best part of the trip was Harlem and getting out there. That section was informative and interesting. Our driver Pedro did a great job negotiating through narrow streets, just a shame about the air con. Also, Amigo Tours were not prepared for wet weather need umbrellas on board and a wet weather plan as wandering around the streets in the rain with no wet weather gear wasn’t fun. Thank you for raising your concern to us. Thank you for leaving this review and we take your feedback extremely seriously. Your case has been noted and passed to the local operator for further improvements. Your understanding will be much appreciated. Thank you for raising your concern to us. Thank you for leaving this review and we take your feedback extremely seriously. Your case has been noted and passed to the local operator for further improvements. Your understanding will be much appreciated. This tour brings you around the whole New York in just one day. The Coney Island beach has a super nice ciew and Lulu is a very nice and great tour guid. This tour brings you around the whole New York in just one day. The Coney Island beach has a super nice ciew and Lulu is a very nice and great tour guid. Excellent tour! We learned a lot about the New York Boroughs. Lulu was very entertaining and informative. Thanks for the wonderful experience! Excellent tour! We learned a lot about the New York Boroughs. Lulu was very entertaining and informative. Thanks for the wonderful experience! it was a very informative tour. Lulu, our guide, and Freddie, our driver, were very nice and i learned so much from them. it was a very informative tour. Lulu, our guide, and Freddie, our driver, were very nice and i learned so much from them. very interesting and very well organized .Alejandro is a great guide giving very useful information and interesting insights . very interesting and very well organized .Alejandro is a great guide giving very useful information and interesting insights . Great tour, I would definitely extend sightseeing Harlem. Lulu was a great guide! Great tour, I would definitely extend sightseeing Harlem. Lulu was a great guide!